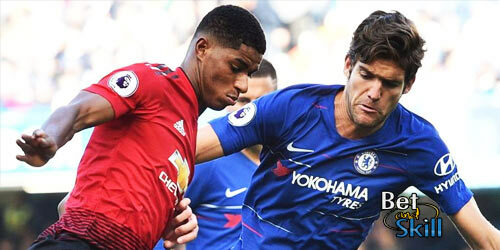 Chelsea travel to Old Trafford on Sunday to play Manchester UTD in what will be the third encounter between the two sides this season. 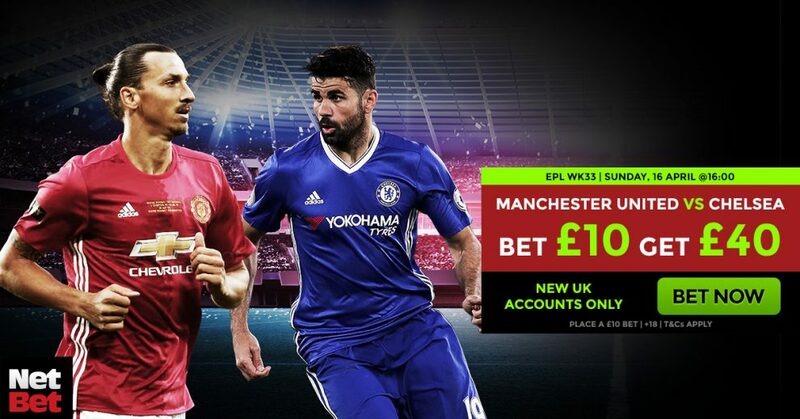 Check out below our Manchester United v Chelsea betting preview with predictions, betting tips, starting line-ups, team news, enhanced odds, exclusive promotions and no deposit free bets on this weekend's Premier League action! Manchester United are enjoying a 20 games unbeaten streak in the Premier League but they enter this match on the back of a disappointing 1-1 draw against Anderlecht in Europa League, their third draw in the last 4 matches in all competitions. They sit 5th in the Premier League standings, trailing Man City by 4 points with one game in hand. The Red Devils are winless in 12 against Chelsea and were already beaten by the Blues twice already this season - Chelsea thrashed them 4-0 in the Premier League last October and beat them 1-0 in the FA Cup last month. Wayne Rooney and Ashley Young remain major doubts for this clash while Antonio Valencia could be rested once again. With Chris Smalling and Phil Jones out injured, Marcos Rojo and Eric Bailly are expected to play as centre-backs. Ander Herrera and Paul Pogba should start in central midfield with Michael Carrick first alternative. Up front, Zlatan Ibrahimovic will lead the line while Henrikh Mkhitaryan and Jesse Lingard look the most likely starters in the attacking midfield positions, with Marcus Rashford and Anthony Martial battling for the remaining spot. Chelsea have won five of their last six games in all competitions (L1). A home defeat to Crystal Palace was a shock one but they’ve beaten Manchester City away since. Furthermore, the Blues easily handled Bournemouth 3-1 away from home last weekend, as they maintained their seven-point cushion at the top of the table. Anyway, their excellent defense has seen some slippage recently. Chelsea have failed to keep a clean sheet in their last nine Premier League games. Antonio Conte may consider naming an unchanged starting XI since Victor Moses is fully fit. His only real selection dilemma looks to be in central midfield, with Nemanja Matic and Cesc Fabregas vying for a spot alongside N’Golo Kante. Up front, Pedro is favourite over Willian for a starting berth alongside Eden Hazaed and Diego Costa. The likes of Gary Cahill, David Luiz an Cesar Azpilicueta will form the three man backline, with Kurt Zouma set to provide cover. 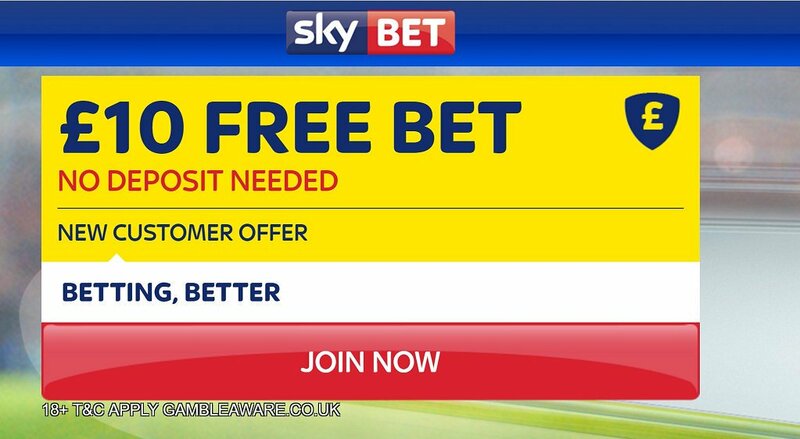 "Manchester UTD v Chelsea predictions, betting tips, lineups and free bets (Premier League - 16.4.2017)"